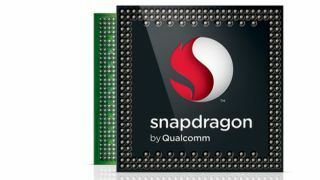 Qualcomm unleashed a trio of Snapdragon S4 mobile processors Thursday, all of which aim to endow entry-level smartphones with the company's signature processing power. The MSM8225Q and MSM8625Q Snapdragon S4 Play both belong to the S4 Play processor tier and are optimized for a broad range of users. "Play processors will now offer OEMs both dual-core and quad-core CPUs and performance for entry-level smartphones, with the more advanced version featuring higher bus bandwidth, larger screen resolution support, HD video, and enhanced user experiences," the company said in a press release. Qualcomm explained the processors "are designed specifically for high-volume smartphones." Each gives manufacturers the ability to migrate existing Snapdragon S1-based designs to S4 dual- and quad-core CPU-based products, a feature ideal for manufacturers looking to expand their offerings with more 3G/LTE smartphones. Quad-core variants of the new Play processors will support LPDDR2 memory, meaning more bus bandwidth for features like 720p display and 720p video encode and decode. The processors are upgrades of the Snapdragon S4 Play MSM8225 and MSM8625s, the company said. The MSM8625Q features Qualcomm's integrated multimode UMTS/CDMA modem while the MSM8225Q has the integrated UMTS modem. The new versions enable Wi-Fi, Bluetooth 4.0, and FM connectivity using Qualcomm's Atheros AR6005 and WCN2243 chips. Qualcomm also unveiled the Snapdragon S4 Plus MSM830, a processor geared towards the Chinese market that will support all China operators with UMTS, CDMA, and TD-SCDMA. Its target is mid-tier phones, bringing a single-chip solution with an integrated LTE modem to high-volume smartphones. All three will be ready for customers by the end of 2012 and will start shipping in commercial devices in the first quarter of next year.